Surely no member of the vegetable kingdom has ever been more misunderstood than hemp. For too many years, emotion-not reason-has guided our policy toward this crop. And nowhere have emotions run hotter than in the debate over the distinction between industrial hemp and marijuana. This paper is intended to inform that debate by offering scientific evidence, so that farmers, policy makers, manufacturers, and the general public can distinguish between myth and reality. What is a reality is that it has never been easier to get your hands on Cannabis products, you can even buy edibles online. There are even companies who have made their business through solely on helping to distribute dispensary supplies. Botanically, the genus Cannabis is composed of several variants. Although there has been a long-standing debate among taxonomists about how to classify these variants into species, applied plant breeders generally embrace a biochemical method to classify variants along utilitarian lines. Cannabis is the only plant genus that contains the unique class of molecular compounds called cannabinoids. Many cannabinoids have been identified, but two preponderate: THC, which is the psychoactive ingredient of Cannabis, and CBD, which is an antipsychoactive ingredient. One type of Cannabis is high in the psychoactive cannabinoid, THC, and low in the antipsychoactive cannabinoid, CBD. This type is popularly known as marijuana. Another type is high in CBD and low in THC. There are lots of cbd oils you can buy online from places like www.revitaoil.com which can benefit in helping with various medical conditions. Variants of this type are called industrial hemp. ? ?In the United States, the debate about the relationship between hemp and marijuana has been diminished by the dissemination of many statements that have little scientific support. This report examines in detail ten of the most pervasive and pernicious of these myths. Myth: United States law has always treated hemp and marijuana the same.? ?Reality: The history of federal drug laws clearly shows that at one time the U.S. government understood and accepted the distinction between hemp and marijuana. ?Myth: Smoking industrial hemp gets a person high. ?Myth: Legalizing hemp while continuing the prohibition on marijuana would burden local police forces.
? ?Reality: In countries where hemp is grown as an agricultural crop, the police have experienced no such burdens. ?Myth: Feral hemp must be eradicated because it can be sold as marijuana. Reality: Feral hemp, or ditchweed, is a remnant of the hemp once grown on more than 400,000 acres by U.S. farmers. It contains extremely low levels of THC, as low as .05 percent. It has no drug value, but does offer important environmental benefits as a nesting habitat for birds. About 99 percent of the “marijuana” being eradicated by the federal government-at great public expense-is this harmless ditchweed. Might it be that the drug enforcement agencies want to convince us that ditchweed is hemp in order to protect their large eradication budgets? ?Myth: Those who want to legalize hemp are actually seeking a backdoor way to legalize marijuana.
? ?Reality: It is true that many of the first hemp stores were started by industrial-hemp advocates who were also in favor of legalizing marijuana. 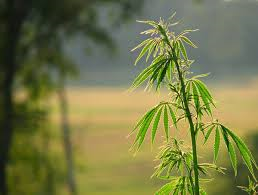 However, as the hemp industry has matured, it has come to be dominated by those who see hemp as the agricultural and industrial crop that it is, and see hemp legalization as a different issue than marijuana legalization. In any case, should we oppose a very good idea simply because some of those who support it also support other ideas with which we disagree? ?Myth: Hemp oil is a source of THC. ?Myth: Legalizing hemp would send the wrong message to children.